Dennis Wingo: Today we had a real treat. One of my mentors from Huntsville, David Christensen, one of the early members of the von Braun team in Huntsville, came by to visit LORIP today. Dave is one of my hero’s and inspirations for what we are doing here at LORIP. Remember hearing that the Saturn V drawings were lost? Remember that years and years later the story came out that one guy saved them? That one guy was Dave. 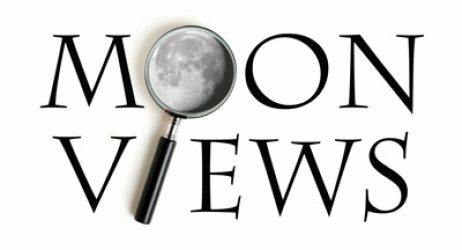 Dave also has an extensive library of Army Ballistic Missile Agency (Where Von Braun worked) information about the early Saturn designs, the redstone, and space stations. Dave also has an extensive library of commercial space documentation and he was one of the inspirations for what was called Code C (Commercial) at NASA in the 1980s. Also, he is one of the nicest humans you ever want to meet! Take a look at this picture, can you believe he is 81? 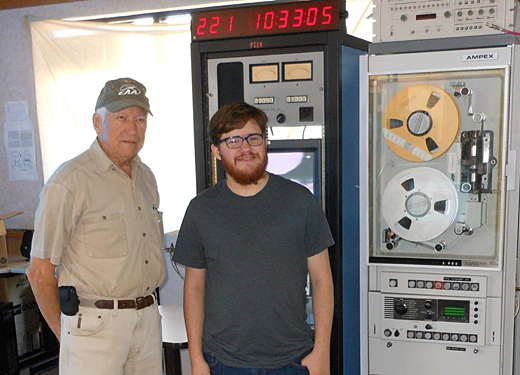 He is shown here with our student engineering intern Jacob Gold, bridging the generations of space engineers. 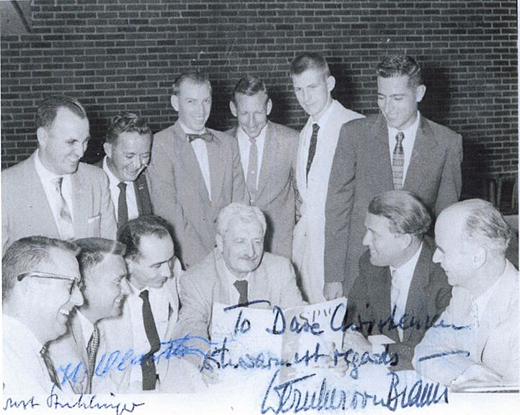 The second picture was taken in 1958 and shows Ernst Stuhlinger, von Braun, Hermann Oberth and others seated. Dave is the second from the right standing. Dave published the world’s first space age magazine devoted to telling the public about what was going on in space. 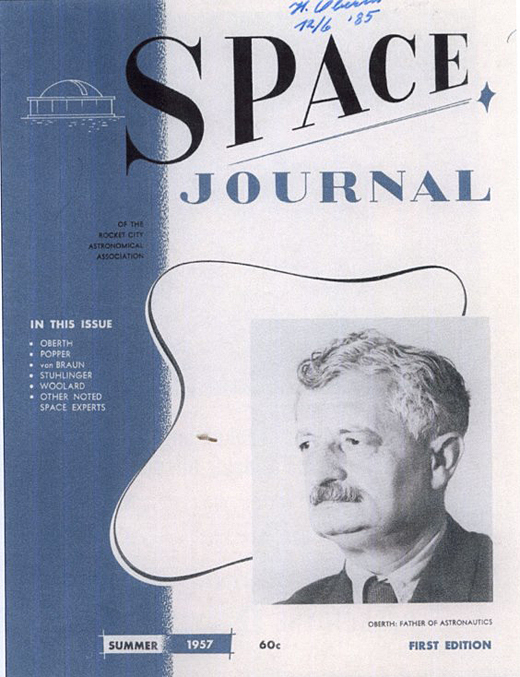 One of the covers of “Space” is the third picture. Autographed by Oberth himself!